Hey there and happy Monday to you! 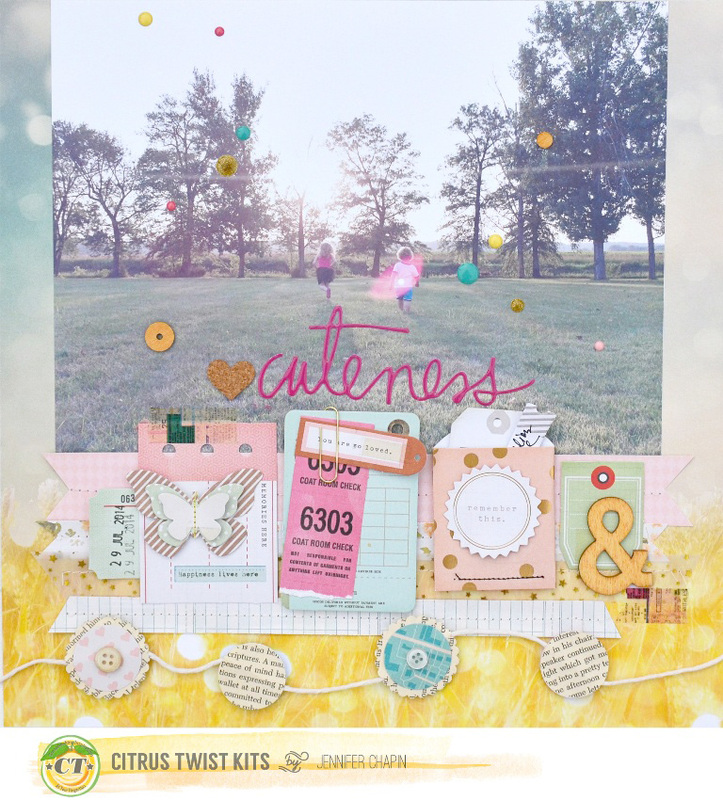 Jen here and today I'm sharing a layout I created with the August kits, along with a free cut file. 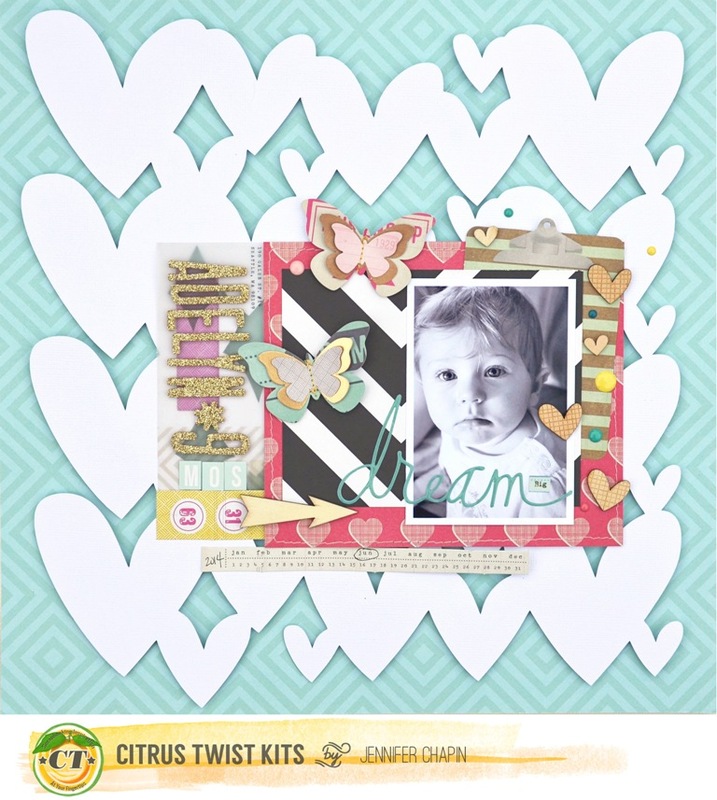 I was inspired by the heart wood veneers in the main kit this month, so I created a heart background for my layout. You can download that cut for free HERE. I used a ton of foam squares to pop the die cut off the background of the page. It is subtle, but it does give the layout great dimension. 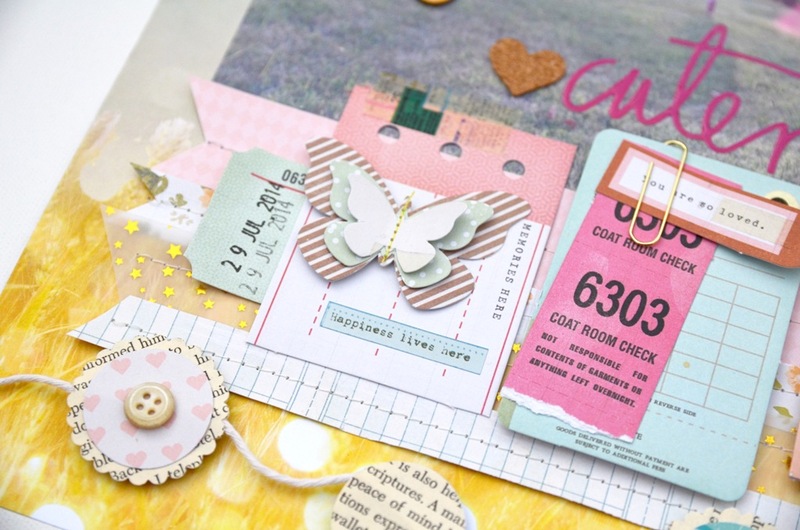 I used a few pieces from the Pocket Life kit, as well as those gorgeous gold thickers from the main. The Heidi Swapp word stickers in the kit this month are great. I used quite a few on my projects! 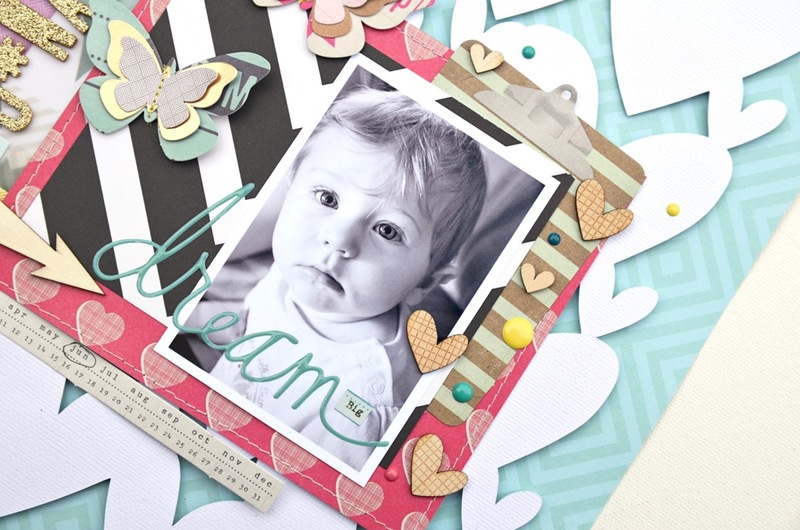 My other favorite item were the Crate Paper Notes and Things embellishments included in the Summer Dreaming add-on. Those butterflies are just gorgeous. I have one more layout to share with you. This one was created using a large photo (8x10). I started with this photo of my kids playing in the backyard. I knew as soon as I took it that I wanted to use it for an enlargement on one of my projects. 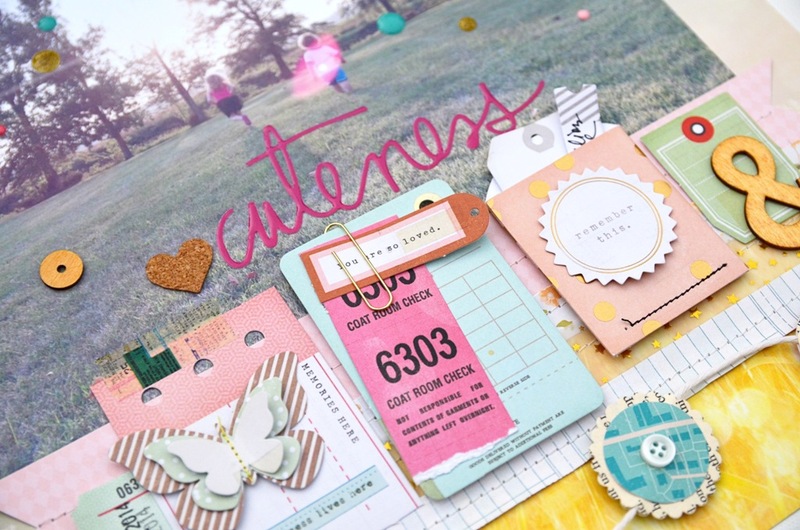 After adhering the photo to patterned paper, I used the rest of the embellishments from the main kit and Summer Dreaming add on to layer up below. 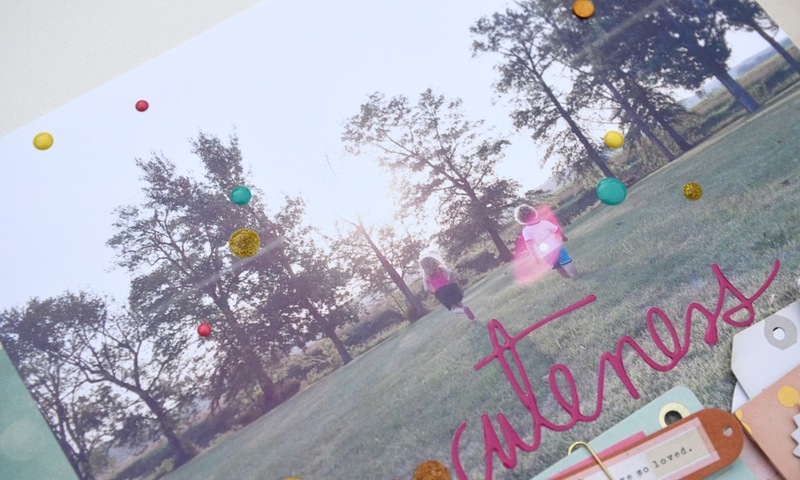 I also added some enamel dots to the photo because, hello, I cannot make a page without them. 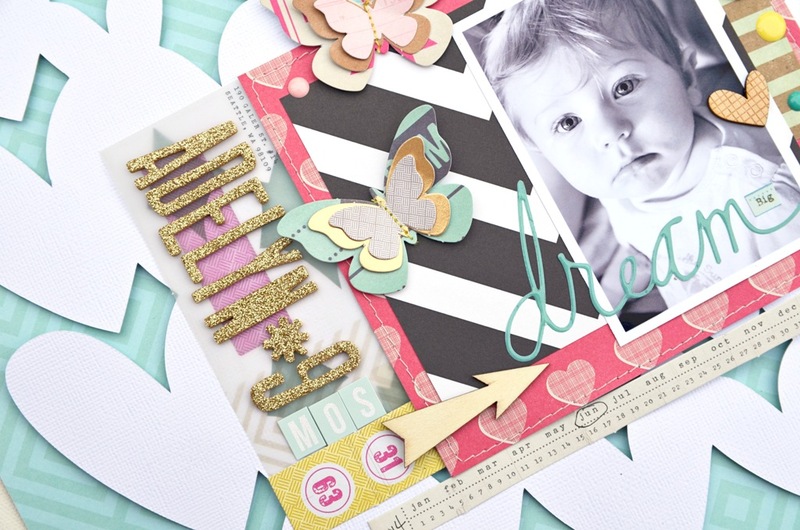 More layering and how awesome is that exclusive book paper garland! Thanks so much for stopping by today! Have a great week. Beautiful! Love all the fun details!